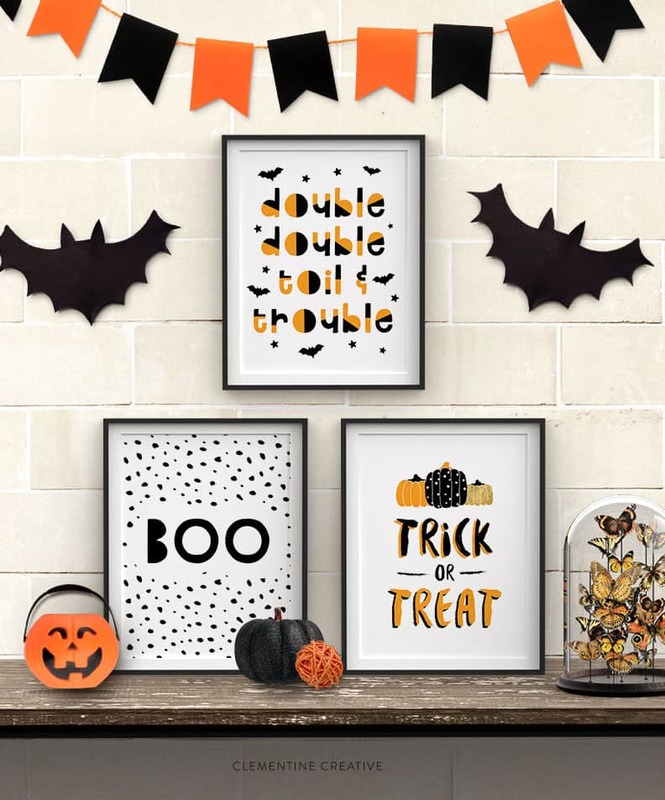 Celebrate Halloween with this set of free printable Halloween wall art! Are you excited for Halloween? I’ve never been a fan of Halloween until I saw all the cute Halloween printables and decor on Pinterest. Halloween doesn’t have to be scary and gory – it can be fun and playful! 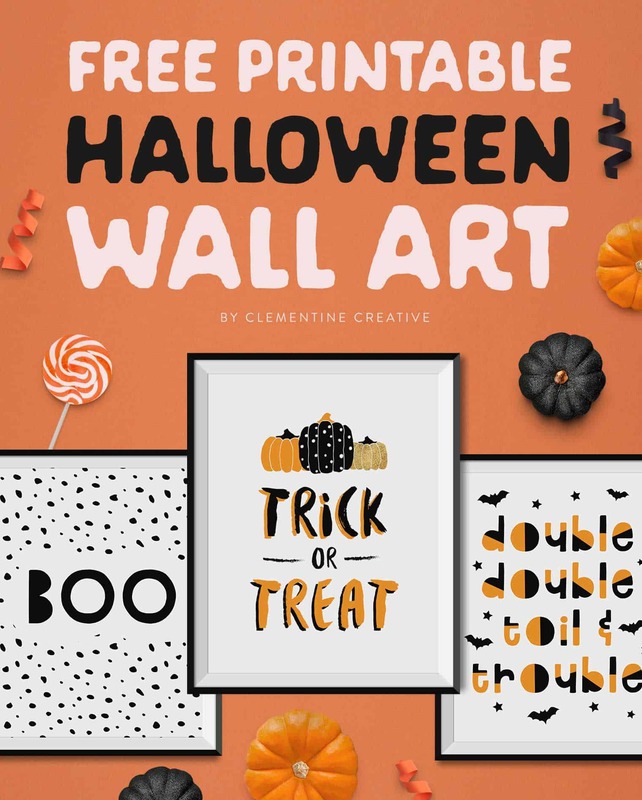 That’s why I’m excited to share these free printable Halloween wall art with you today. This set includes 3 modern Halloween art prints that you can use as signs, posters for a Halloween party, or art for your walls. If you love to decorate your house for Halloween, these prints will be just what you need. Print them at home or at a copy shop, frame them, and hang them above your mantel or entryway. Take a look at the Halloween ideas I gathered on Pinterest here. 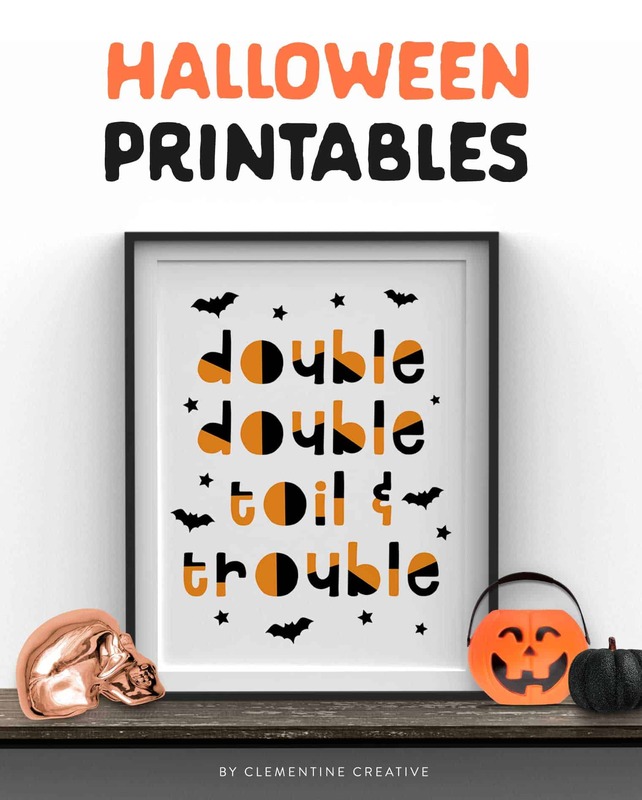 Double, double toil and trouble is such a classic Halloween poem by now (from William Shakespeare’s Macbeth), I just had to include it. The font I used is called Highflier. 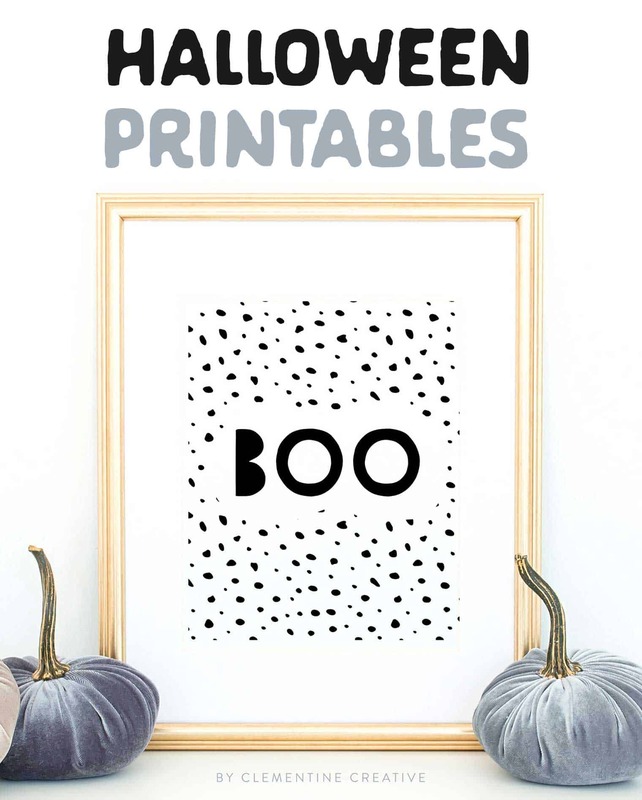 This modern “BOO” print will go with any colour decor. I love the modern simplicity of this print and I hope you love it too! The Highflier font was used on this one too. And how can you go wrong with a “trick or treat” print? I love the pumpkins and the brushed font, Besom. The sizes of these prints are all 8 x 10″ and they print out on 8.5 x 11″ paper. But you can print them on any size paper and easily scale them down using the “custom scale” option in the print settings window in Adobe Reader. Feel free to contact me if you need any help! P.S. 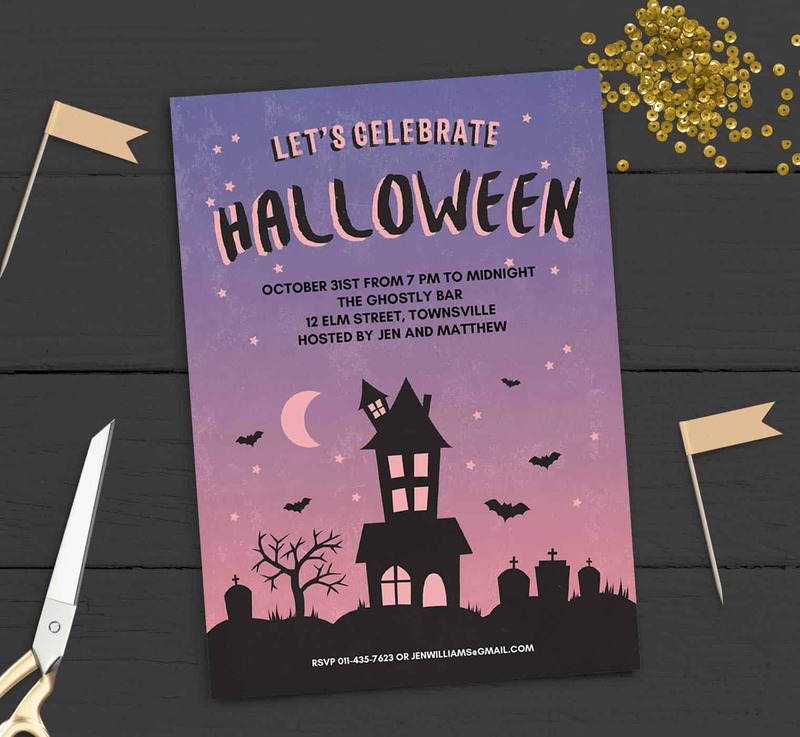 You might also like this free printable Halloween party invitation template. Print on Cardstock. You can print at home or copy shop. 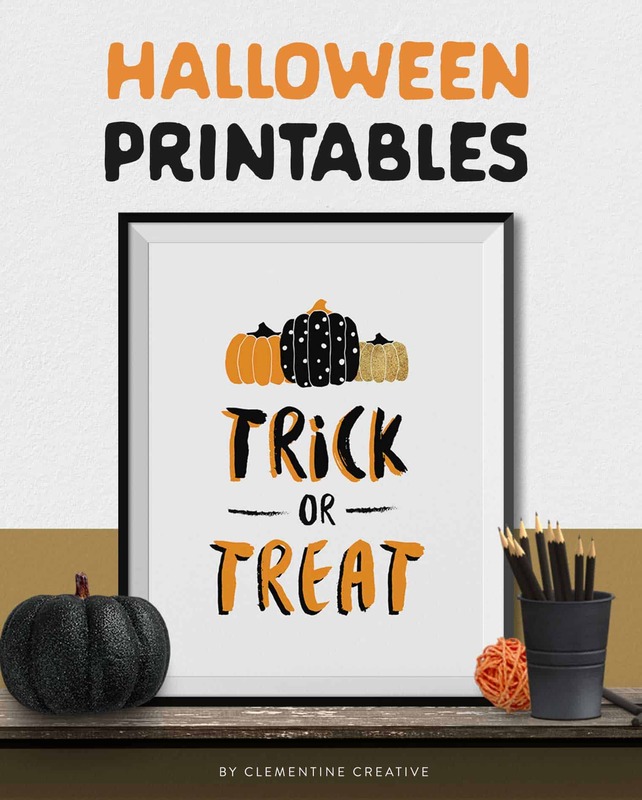 I’d love to hear how you will be using these Halloween prints. Leave me a comment below! 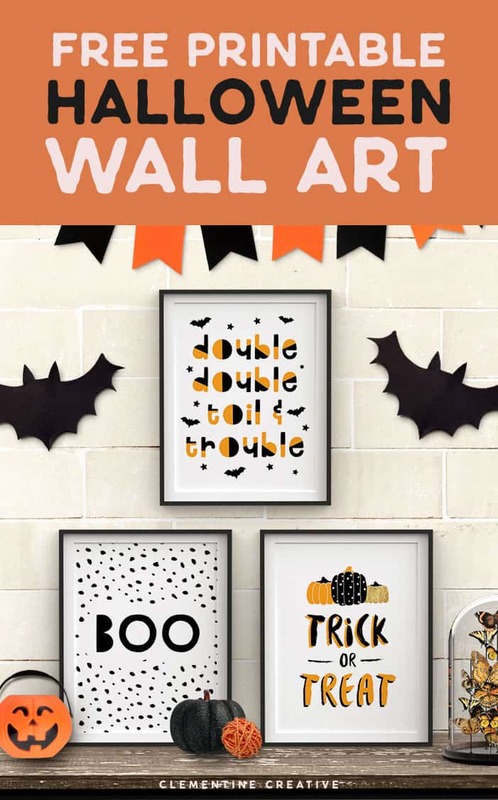 Need more Halloween wall art? Take a look at the other Halloween wall art printables I have in my shop. I’m sure you’ll find a printable (or more!) that’s just right for you. These printables come in 3 formats to make it easy to print at home, at a photo lab, and at an online printer.